Visit http://bitcoin.org/en/choose-your-wallet and select a wallet that suits your requirements. Once you get a Bitcoin address, your account has been setup. This process is generally completed in 2-3 minutes. Print out the image below and stick it on your shop window near the cash counter and outside your shop. 4. Accept Bitcoin using the address created from the wallet of your choice. Disclaimer: Do read a bit about Bitcoin before diving in. Simple and easy. 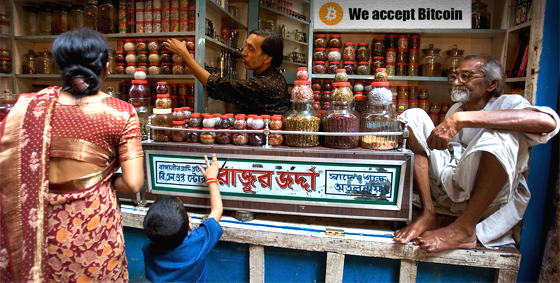 It would be great to see the bitcoin payment scheme flourishing in other parts of Asia as well. Someone needs to sponsor a ‘Sticker my City’ campaign for this to take effect.